Samsung being most successful smartphone vendor in South Asia played a monopoly for smartphones against the Nokia trusted market and was able to bring them to their side. Running Android on its smartphones was the best idea they could have ever thought of but on Tablets? Well we all know how iPad is and how well the operating system adjusts for the big screen. On the other hand, if you compare it with Android the results maybe completely different. Samsung launch a long list of tablets in the past, all named Samsung Galaxy Tab iterating with models having successive numbers. Along with these they came out with Note Pro series as well which was targeted to a very restricted audience. This year they came out with a new Tab S series which is actually a premium segment of their Tablet category but none of them actually make us want one. Reason? Read below to find more. Both the tablet box contains a standard USB charger and a USB cable along with the respective tablets. 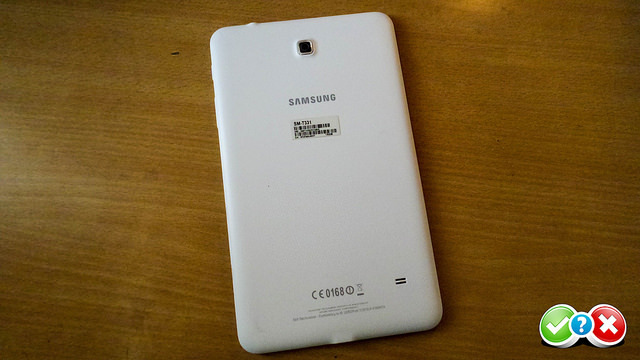 Both the tablets packs great hardware within the typical build quality which can be expected from Samsung. The same design philosophy which Samsung has recently introduced with the Note 3 having faux leather back and similar front with a physical button. Commenting upon the build, Galaxy Tab 4 has large bezels which is a good decision because it reduces the accidental touch on the screen when holding the tablets. There are two capacitive buttons on the bottom at the front below the display. These capacitive touch buttons control recent menu and back while the physical home button handles the task it has been given since ages. The 8.0-inch model or the 10.1-inch model can’t be held with one hand, or maybe the 8.0-inch variant can depending on how big your palms are. We found it difficult to be honest unlike the iPad mini which was much easier to hold. The screen on the Tab 4 being 1280×800 pixels resolution is nothing great but just suffices the purpose. The visual experience obviously was better on 8-inch model because of high PPI. 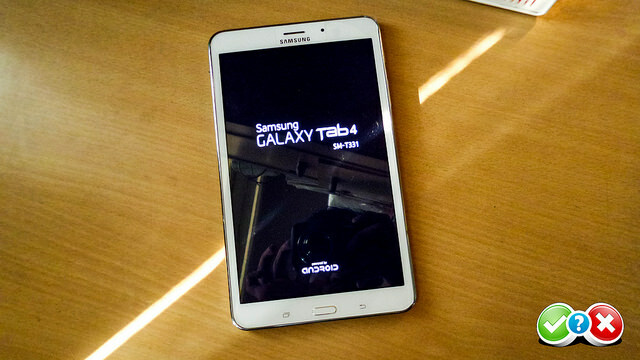 Both the tablets have LCD displays considering they have AMOLED in the premium segment. Both the tablets are powered by the same processor which is been kept undisclosed but what we know is they are from Qualcomm, some Snapdragon Quad-core SoC which is clocked at 1.2GHz. Both of them feature 1.5GB of RAM and comes with 16GB internal storage on both the models. Both of them support external microSD card memory expansion and comes with Fixed Focus camera front as well the rear one. Samsung has optimized its TouchWiz for Android 4.4 KitKat better than ever as we saw on the Samsung Galaxy S5. Both of these tablets run Android 4.4 KitKat with TouchWiz custom UI layer. Not to forget mentioning both of these tablets support voice calling, like 7-inch model was not enough. They added this functionality along with the mobile data connectivity which probably most of us will never want to use. It is capable for running casual games very easily but anything that utilizes intensive hardware faces issues while rendering frames. The apps which come pre-installed with the tablets are the Google and Samsung apps which we have mentioned a lot of times in the past. The settings menu have been nicely segregated with similar options in a categories. The benchmark scores as we tested too ranged within the mid-tier group nothing significant to brag about. I always wonder do I really need a tablet? The actual use case of a tablet can be understood if you really use it. Its actually useful when you don’t want or have your laptop but you need a bigger screen to understand or manipulate things better. 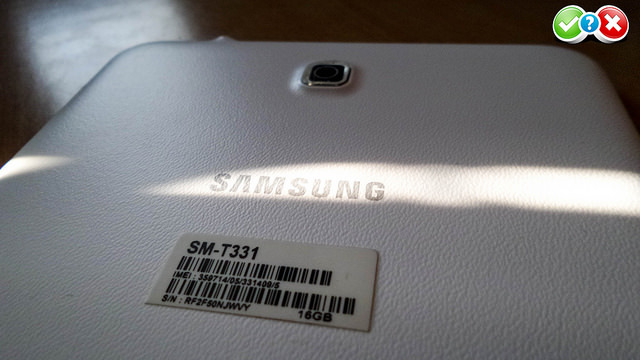 Samsung powered Android tablets have been there since four continuous years now and we don’t see them enough except the Tab 2 which was a huge success after the price drop. Nexus 7 and LG G Pad now available at lower or the same price look as better options or just go for the iPad, mini or air which ever suits your purpose and pocket. Unless you are a brand loyalist, or simply a ‘No Apple Products’ person you may opt for these or maybe better looking Samsung Tablet S series which albeit comes for a higher price.